Different people build different kinds of shelters. The kind of shelter they build depends on their needs and the building materials available to them. Directions: Study the drawing. Then answer the questions by filling in the blanks with the correct words from the word list. 2. 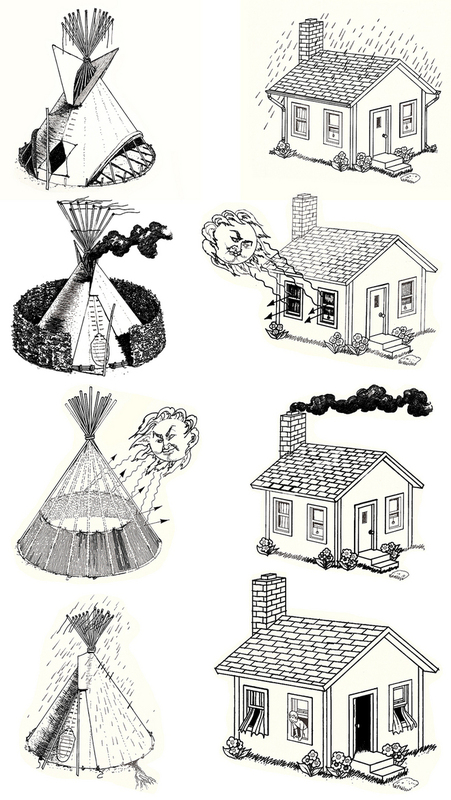 Which kind of shelter do you live in? 3. Have you ever been inside any of the other shelters shown in the diagram? 4. 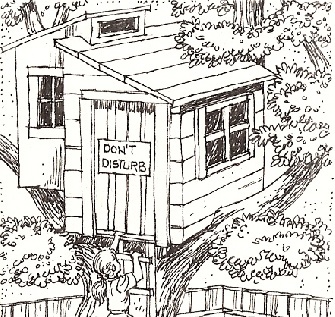 What is the name of Shelter A shown in the drawing. 5. 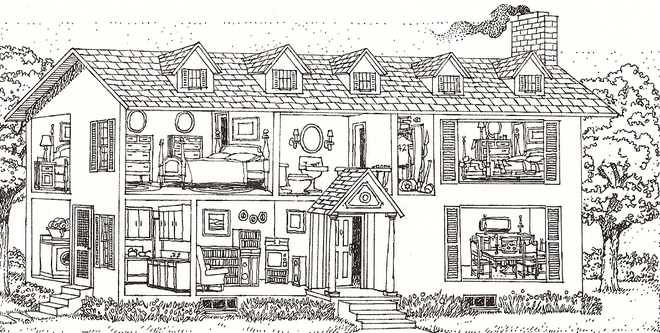 Name the other shelters in the drawing? What is a Pueblo? What people live in Pueblos? People build shelters for many reasons. After completing this activity you will be able to list some of these reasons. 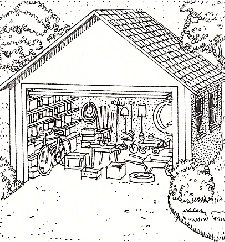 space for a person's belongings. 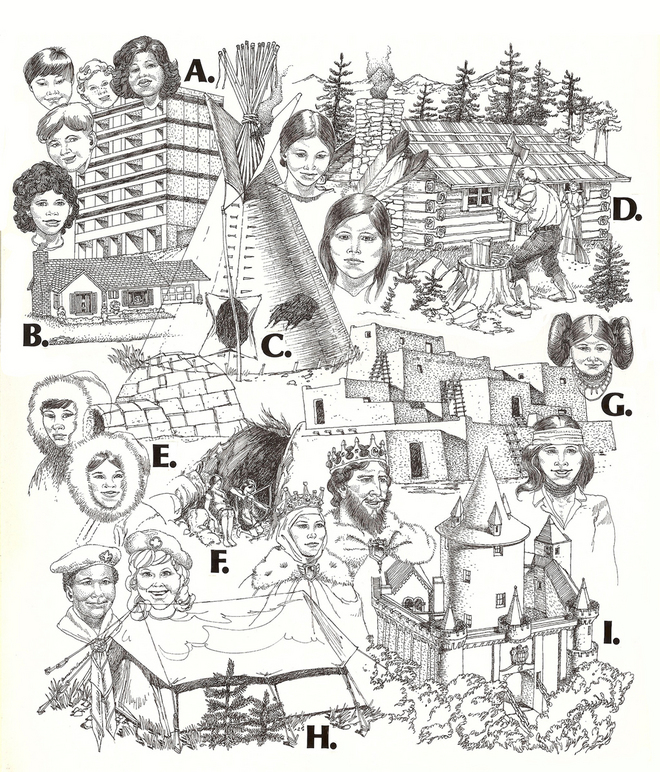 the people from the hungry bear. 6. This shelter was designed so it could be ____________________. The following activity will help you understand how shelters protect people from HOT and COLD weather. Directions: Look at the picture above and put an S next to each sentence below that refers to something that takes place in the SUMMER. Put a W next to each sentence below that refers to something that takes place in the WINTER. the lining of the tipi provided out through the chimney. the cold wind. when the windows are open. open to let out smoke from to block cold drafts. from the sunlight. going outside. All shelters need openings to let fresh air in and let smoke or stale air out. 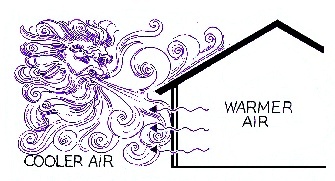 The letting of air in and out of a shelter is called VENTILATION. Shelters without ventilation would be hot, smoky and stuffy. Directions: Look at the picture above. Put an V next to all the sentences that describe VENTILATION. What is a VENT? What is a TRANSOM? Heat is always trying to move from warm places to cooler places. Within your shelter heat will flow to the chilliest corners, trying to warm them. 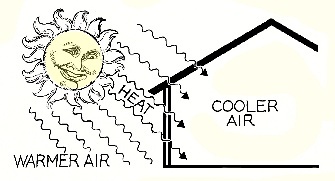 Heat can even pass through walls and glass window panes as it seeks cooler air. Sometimes this can make our shelters uncomfortable. For example, if it is cold outdoors, the heat from inside your shelter will try to flow outside. If all the heat kept going outside, it would get very cold inside. Another example occurs in the summer. If it is nice and cool inside, the heat from outdoors will try to flow into our shelters. It it does, then it might become too warm inside. In winter, we try to prevent the heat in our shelters from going outside. In summer, we try to prevent the heat from coming inside. One of the ways we do this is by putting extra covers such as shades, drapes, or storm windows over our windows. 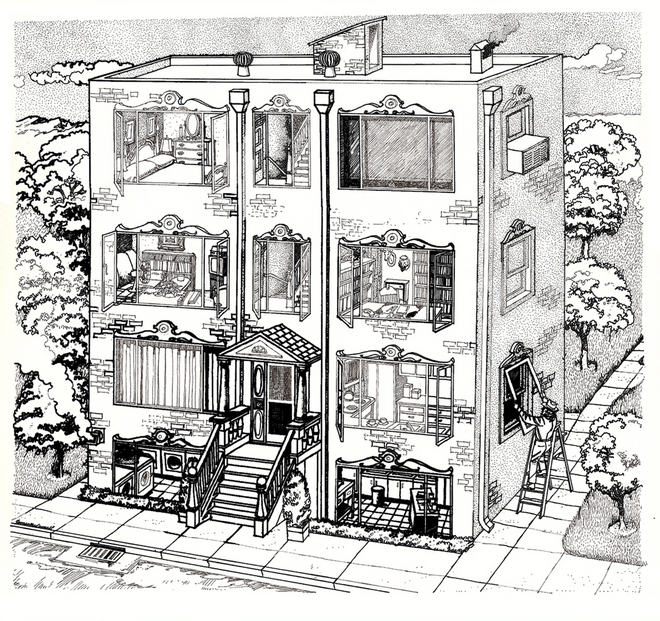 We often have two walls in our shelters -- an outside wall and an inside wall. These extra covers and walls slow down the heat as it tries to go outside or go inside. Slowing down or preventing the passage of heat is called INSULATION. Directions: Look at the picture above. Put an I next to all the sentences that describe INSULATION. the lining of the tipi were out through the chimney. prevent heat from escaping. inside, but not bugs. from coming inside. the heat. from going outside. going outside. What are THERMOPANE WINDOWS? What is ATTIC INSULATION? Keeping the inside of a shelter from getting wet is important. Shelters need a way to prevent rain from collecting on top of or around a shelter and leaking inside. Drawing this water away from a shelter is called DRAINAGE. Directions: Read the paragraph below. Look at the pictures. Then answer the questions. The Sioux people were careful to make their tipi poles very smooth. Smooth poles were important to make sure that any rain that came into the tipi would run straight down the poles to the bottom. If any bumps were on the poles, the rain might hit the bumps and drop down into the tipi. As the water ran to the bottom of the poles, the interior lining helped keep it from running onto items inside the tipi next to the lining. When the water reached the bottom of the poles, it drained into a gutter that had been dug around the tipi. The gutter channeled the water to a runoff trench at lower ground. 1. 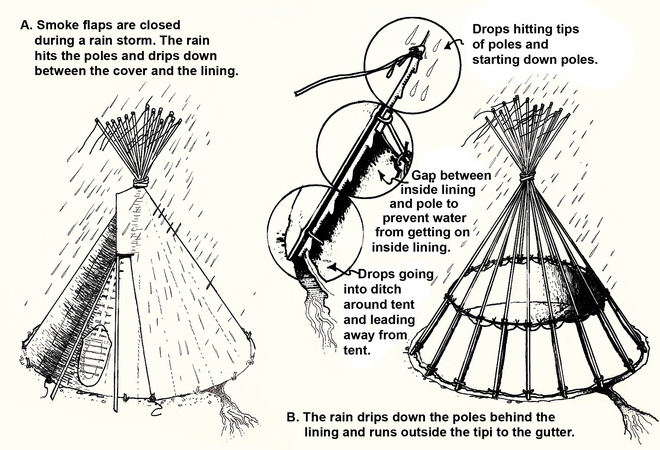 How did smooth poles help prevent water from dripping inside the tipi? 2. Why didn't the water go inside the tipi after it ran down the poles? 3. Look at picture A. Why do you think the smoke flap is closed? 4. Look at picture A. 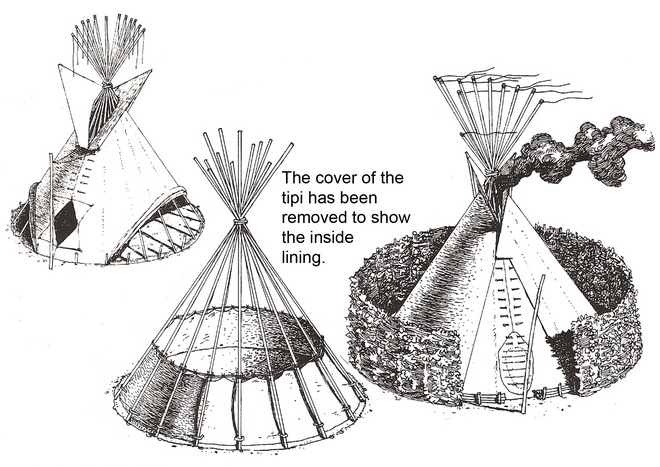 What geometric shape does the tipi remind you of? Are there any shelters in your community that have roofs shaped like triangles? Directions: Match each tipi on the left with a shelter on the right that shows something similar. Draw a line connecting each of the two that match.